Watching economists change position back and forth on their prediction of Prime’s announcement for July 11thhas been like watching FIFA Players chase the ball back and forth from net to net. It’s actually quite comical. So too are headlines that ensue on major news wires – “100% certainty of Bank of Canada (BoC) rate increase” ; “Down to 50% chance” (based on some scrap of data released) – it’s all really too much sometimes LOL! Here to parse some of the rhetoric this month are my two cents. Again a reminder, this is simply my opinion to be used as a guideline – the decision to lock in (or not) is yours to make. Bank of Canada Governor Stephen Poloz has been quite clear on what factors affect his rate decision and based on the current data I suspect he is going to hold rates still. This point of view does oppose “general consensus” with most of the Canadian banking economists and I could be absolutely wrong; I think the more important message is does it matter? Whether prime goes up, back down or holds still, the message I try to relay remains that the variable rate strategy is the long view. I’ve often fielded this question on the eve of Prime announcements, as many clients still attempt to “time” locking in (which is fine) but the bigger picture is that this is not the purpose of being variable. Locking in should be done as a counter to a major financial change at home. We also forget that what goes up, can and usually does come back down. We are not in a fantastic economic cycle so if one locks in they are also locking in the loss of Prime being subsequently reduced over the course of 5 years that follow when the economy potentially takes a dip. (we’re already hearing stirs of recession chatter) Further still, the commensurate fixed rate is almost always higher than the existing variable rate so right away higher costs ensue. The trade war between the U.S. and Canada could see our automotive sector (our 2ndlargest market next to Oil) as the next target with some projecting a cost of 100,000 jobs. *This figure is speculative. Consumer debt still stubbornly high making them sensitive to higher rates. The big wildcard in all this back and forth is the U.S. and their new policy on unbalancing financial markets relative to trade. The Donald’s tariffs have certainly incited in me a new found support of all things Canadian ranging from my groceryshopping cart to where I plan to vacation. While I am absolutely not “Anti-American”, I would consider myself these days simply more interested in supporting pro Canadian and local goods. In the end, if we don’t support ourselves, the U.S. certainly isn’t going to give two loonies about us given how small our economy is relative to theirs. We vote with every dollar we spend and I have to say, I have been pleasantly surprised how little effort it takes and how awesome I feel for having done a little something in my little corner of the world to support our country. 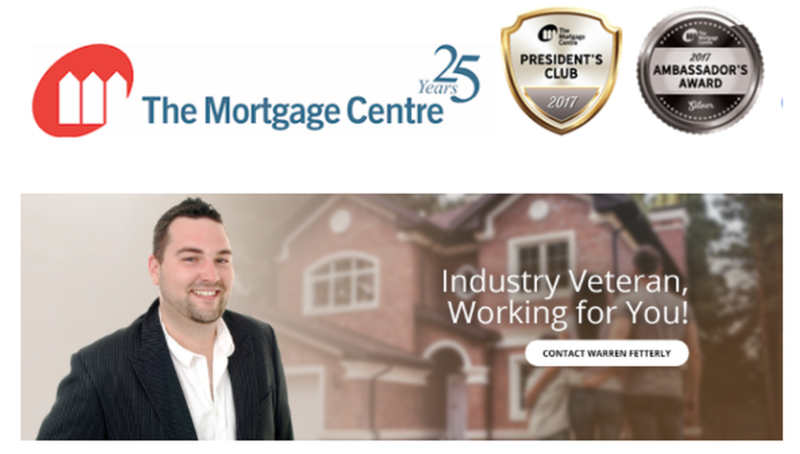 Should Prime indeed increase on July 11th, I will signal it on my business Facebook page @ https://www.facebook.com/MortgageWarren- feel free to follow my page for this and other interesting articles! Until then, ENJOY all this lovely summer has to offer!